Greetings and salutations from the smoky Okanagan valley! It's exciting to launch the first ever posting from Pulse, and let you know a little bit of what we've been up to for the past several months. It is my hope that the following summary that I wrote for our group that meets once a month, would give a taste of some of the teaching that I'm working on. It's evolving as we meet together, and wrestle with what it means to carry our mix of revelatory gifts with grace and humility. The end goal is to come away still loving Jesus and one another! 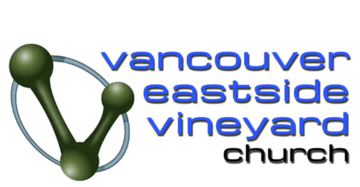 Since April of this year, we've committed to a monthly gathering of the revelatory and intercessory types in our wonderful K-Vine (Kelowna Vineyard) family. We've had some intense and transformative times together. I hope and believe that it's been beneficial for all. Since our first meeting, we've covered the history of prophetic expression in the Vineyard family, and the roots that have grown the foliage and fruit we see today. Out of that, we've explored our posture in the body of Christ, how do our values and rubric inform our actions? We've agreed that maintaining alignment in our body is critical, and achieved by honouring the truth and wisdom of inspired scripture above transient revelation. It's understanding the unique interplay of our personalities , biases, history, and accrued theology, and how these combine to form a world view that is not without error. We've discussed the pitfalls of navigating the revelatory arena, and how it relates to other gifts; the draw of mysticism, elevation and hierarchy that aims to isolate the prophet from the rest of the body, rather than empower them to serve and encourage. As revelatory people, we are called to guard our gates, and be cognizant of the impact of our thoughts on our daily lives. Everything we do begins with a thought. I struggled with the legalistic trajectory of this teaching when I was working with it. Formulas and rhetoric peter out quickly when we are under the weight of oppressive thoughts. But Isaiah understood something about the transformative power of the spirit. He knew that the vital power and strength, the breath ('ruah') of God, would support those who stood guard when the battle came to their gates. If we are able to discern the source of the thoughts that come knocking on our doors (the mind, the main gate), we can intervene before their whispering's lodge into our hearts (the middle gate). We can ask Jesus to breathe on us, infuse us with His vital power and strength to resist the devil from seeding lies and influencing our motivations and decisions. Our hands represent the inner gate, the place we operate from. So, we are told to discern every spirit, and the source that it comes from. This is the practice of the wakeful Christian. Be alert, without fear, for He has given us everything we need. "For though we live in the world, we do not wage war as the world does. The weapons we fight with are not the weapons of the world. On the contrary, they have divine power to demolish strongholds. We demolish arguments and every pretension that sets itself up against the knowledge of God, and we take captive every thought to make it obedient to Christ." 2Corinthians 10:3-5 - (NIV).